Did you know our 24 hr donut shop is better than others? 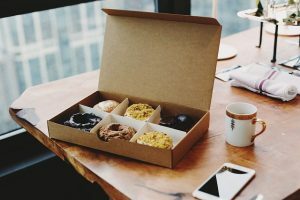 Well, you know what they say, “The proof of the donut is in the tasting.” Read on to see how Shipley truly Makes Life Delicious. 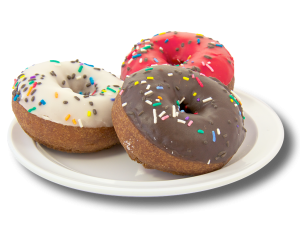 Not only is the Westheimer location a 24 hr donut shop, but we also have cake donuts! You’ve just left a grueling late dinner with inlaws. The worst part? They declined the dessert cart! Just when you were eyeing a nice piece of vanilla cake. “Mind if we stop somewhere for cake? That salad I had was not filling,” you say. Donuts do sound good! But…it’s not cake. And would a donut shop be open now? You’re about to pull over to Google this when it comes to you: Shipley Do-Nuts! Not only is their Westheimer location a 24 hr donut shop, but they have cake donuts! You know exactly what you’re getting, all thanks to one 24 hr donut shop’s easily accessible menu. “Did you decide on what you wanted from the donut shop tomorrow?” Oh, right. It’s our turn to bring breakfast for the Saturday book club. “But the menu is right on their website.” You flop in your computer chair and call up the website. The menu link is in the left-hand corner. Huh, that’s easy! Within seconds of clicking you see every donut you’ve ever thought of. Glazed, cake, Boston cremes…and then you spot it. The one thing you didn’t know you craved until you saw it: a kolache made with Italian sausage and Provolone cheese. 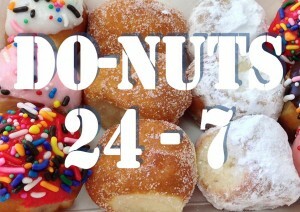 You know exactly what you’re getting now, all thanks to one 24 hr donut shop’s easily accessible menu. Have You Tried Cake Donuts? Shipley Do-Nuts has the donuts people want with the convenience people need. Now that’s delicious! After hours of work, your group has finally finished the big project for your picky professor. One problem: it’s 2 AM and the group is starving. “What about that market down the road?” someone suggests. “They closed at 12,” another one replies. “I want something sweet. Like a donut or something.” The group perks up. You gotta admit, donuts is not a bad idea. And you know just the 24 hr donut shop to go to, Shipley Do-Nuts. It has the donuts people want with the convenience people need. Now that’s delicious! Our 24 hr donut shop has only the donuts and pastries you know and love. Did you know more choices can overwhelm you? It sounds odd that more choices could be a bad thing, but in some cases, the old saying is true. Less really is more. Psychologists from Columbia Sheena Iyengar and Mark Lepper decided to test this adage in the year 2000. They went to a local market and set up a jam stand with a selection of 24 jams. The next day they set up the same jam stand with only 6 jams. The results were surprising. While the jam stand with 24 had the most interest, the jam stand with 6 had the most sales. Shipley Do-Nuts understands. People don’t want a long list of confusing options. They want what they know and love. That’s why our 24 hr donut shop has only the donuts and pastries you enjoy. Baking the classics since 1936! You can place your order online and have it ready when you come in! While it’s true we can dash many a menu item to your door, we have many options to suit your needs. Say you’ve got to get to work early and you don’t want to in line? You can place your order online and have it ready when you come in! Or say you’ve got some family flying in, or a meeting with a client you want to impress? Would you have time to scramble something up? Or would you want to try donut catering for an easy serving of glazed goodness? Try our catering options today! 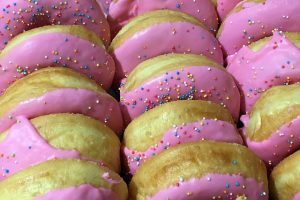 Whether you’re craving kolaches in the early AM or desire the classics in the late PM, check out our Westheimer location or click below to see how Shipley Do-Nuts can make your life delicious! Order the Glazed Goodness Today! viewers arre trujly sharing fastіdiouus thoughts. your time for this wonderful read!! I definitely savored every bit of it and i also have you book-marked to look at new information on your site. your submit is simply great and that i could think you’re a professional on this subject. so many numerous angles. Its like men and women aren’t interested unless it’s one thing to do with Girl gaga! Fantastic post but I was wanting t᧐ knoԝ if yoս ϲould write a litte moｒe on this topic? looking forward on your subsequent post, I will attempt to get the hang of it! to my bookmark website list and will be checking back soon. Take a look at my web site as well and tell me how you feel. your thoughts before writing. I’ve had trouble clearing my thoughts in getting my thoughts out there. I discovered just what I needed. I most surely will make certain to do not fail to remember this site and give it a look regularly.